Help us to serve you better. Donate through PayPal or contact us. 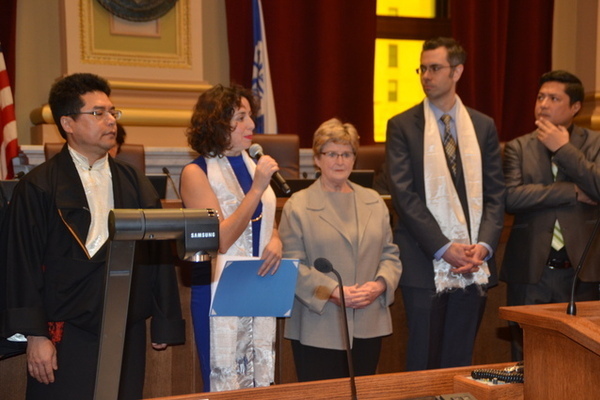 Despite a warning from the Chinese government, City council members of Minneapolis today passed a resolution in solidarity with the plight of Tibetans inside Tibet. “It is true that we have received a letter from Hong Lei, Consulate General of the People’s Republic of China in Chicago,” said Alondra Cano, a member of the city council who is the main sponsor of the resolution. 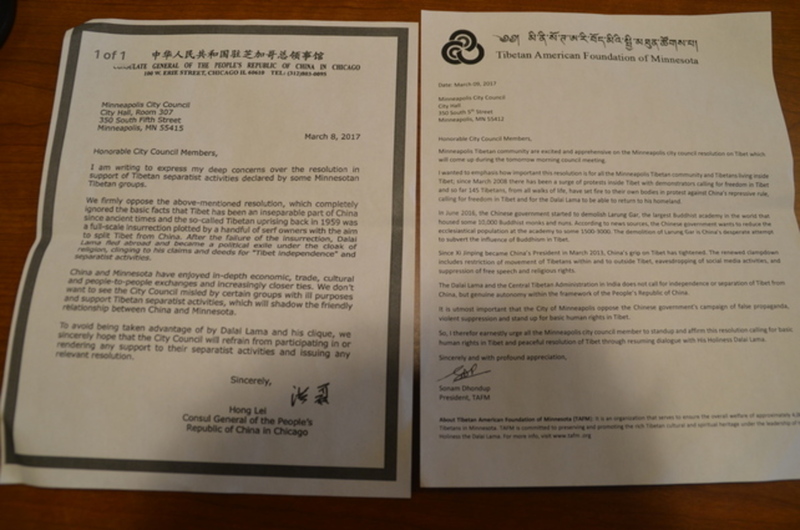 In the letter, the consulate general has warned the city of Minneapolis that the resolution could destroy the city’s relationship with the Chinese government. “I am a Mexican-American and I have sponsored many resolutions for different causes and minorities but this is the first time to receive a warning letter,” said Alondra Cano, adding her support and solidarity with the Tibetans will never be changed. All thirteen city council members have received the warning letter directly from the Chinese consulate general in Chicago, and following the letter, president of Tibetan-American Foundation of Minnesota Sonam Dhondup has also written a letter to the city council members defying the Chinese consulate general’s claim of Tibet being “an inseparable part of China,” and acknowledging the city council’s initiation to pass the resolution. “The resolution got passed without any objection, and it is something that we should be proud of,” said the president of the Tibetan-American Foundation of Minnesota. Minneapolis is one of the fifty largest cities in the United States of America, and Tibetan-Americans in the state hope other cities in the country will give the same support to Tibet in coming years. Tendar Tsering is a Tibetan journalist based in Minnesota, USA. Sorry, commenting is closed for older stories.